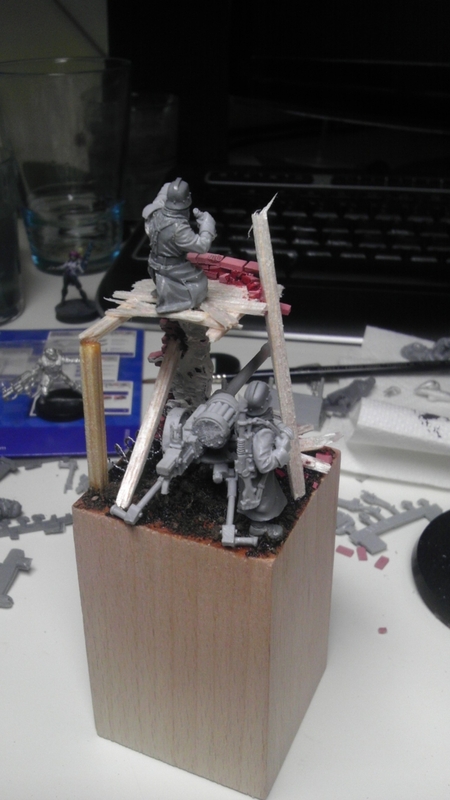 Today i started with a little scene with two deathkorps of krieg soldiers. These pictures show you the result of about 3 hours of base build. 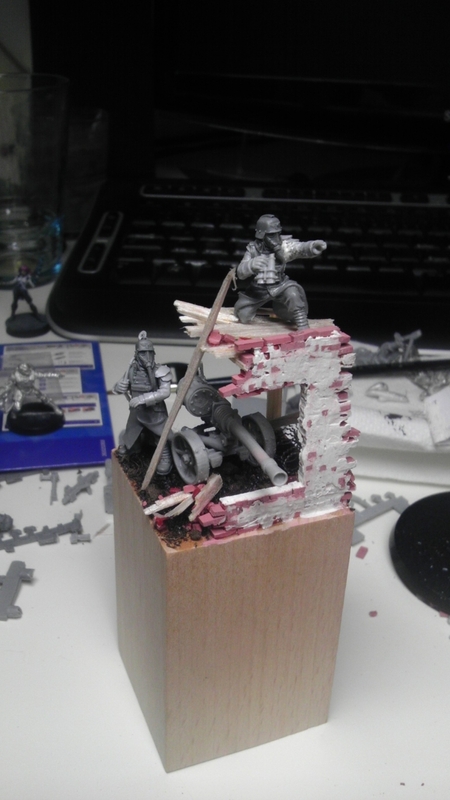 Now i want to start with some paint to give that scene a little bit of dark brown and muddy colours.